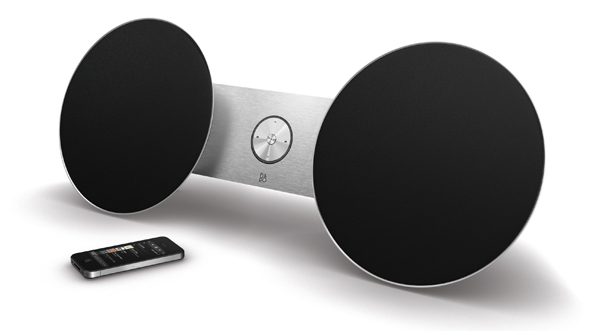 1) BeoPlay A3—Our fave and an undeniable boost to the iPad’s use as a home entertainment device. 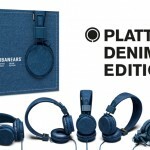 The unique sound system uses the company’s specially created Adaptive Stereo Orientation (TM) sound to keep it playing, unbelievably clear, loud and real stereo quality sound no matter which direction you old it. 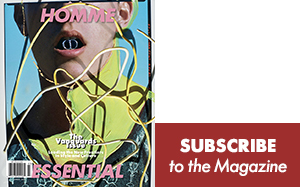 Good thing since its clever facetted wedge design allows you to set it on the table, comfortably, on all ends or just hold it in your hands. An omnidirectional two-inch woofer is always in play, and delivers solid bass all the way down to 60 Hz. Half-inch tweeters are placed in the other three corners. 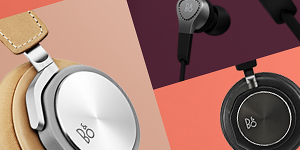 BeoPlay A3 decides which two of these to activate according to landscape or portrait orientation, so the listener is always met by highs coming from equidistant sources to enhance the stereo experience despite the small footprint. Bottom line, you won’t find a better sounding or more versatile iPad accoutrement (it works with all three series) These iPad Band & Olufsen speakers will be in Apple stores, Bang & Olufsen Stores and on their website by the end of the month for a steep $549. 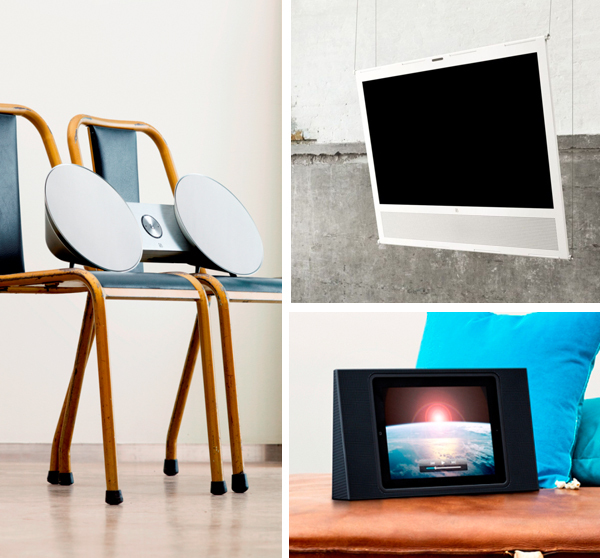 2) BeoPlay V1—Play’s first TV is, simply put, awesome. Especially as an addition to your small but stylish quarters. 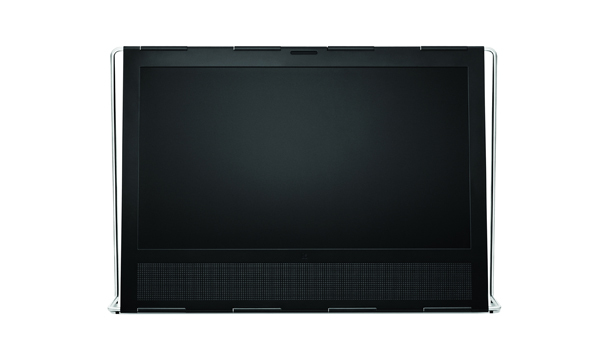 Available in 40 inch or 32 inch, the TV is notable for its top tier sound (something lacking in most TV’s commonly available on the market). Their Class D ICE power amps, built right into the steel cabinet, sends the sound to up to the speakers, but should you want to add extra speakers, the integrated 5.1 surround module and speaker/subwoofer connections are all there to go full 5.1. 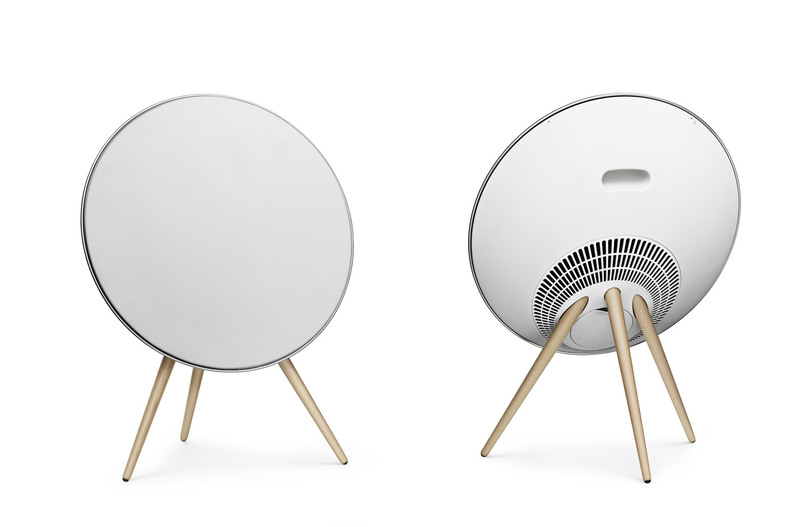 The V1 also lets you easily detect and configure connected set-top boxes, gaming consoles, Blu-ray players, Apple TV2 (which can be placed inside the BeoPlay V1 cabinet), NAS servers and hard disks. Additionally, the integrated media browser lets you view photo collections or listen to music on a USB drive or NAS server and the dedicated remote not only makes setup and channel surfing simple: it also handles third-party devices such as DVD players and digital recording devices, so everything can be commanded from one place. All of that and the beautiful stainless steel stand makes it sit beautifully on a credenza, floor or attaches to the wall for swivel action. 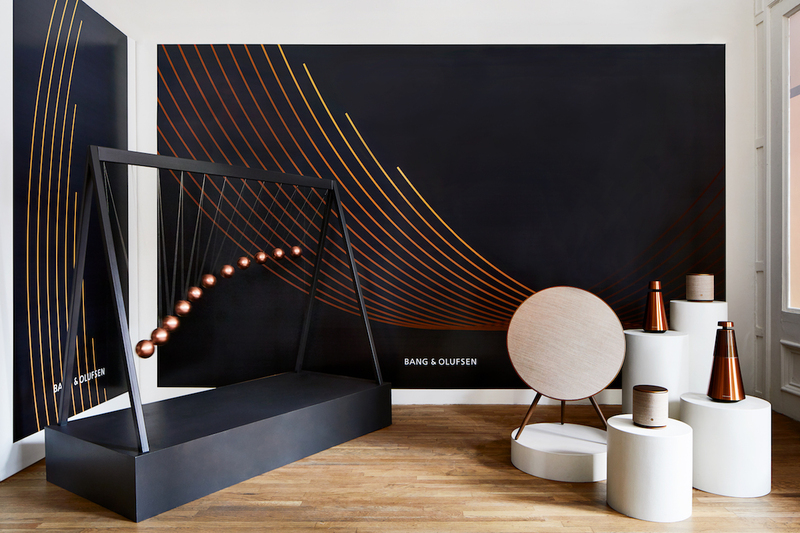 Band & Olufsen will also offer up hanging instillation options. The V1 will be available exclusively at Band & Olufsen Showrooms later this month starting at $3249 for the 32 inch and $3999 for the 40 inch. 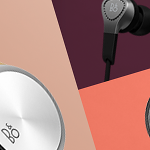 3) The New BeoPlay A8 sound system—Once part of just regular Band & Olufsen (you may know it as the BeoSound 8, also as their number one selling device), its now part of the Play line and with the change it has added Apple AirPlay to instantly and wirelessly connect to your iPhone or iPads playlists. 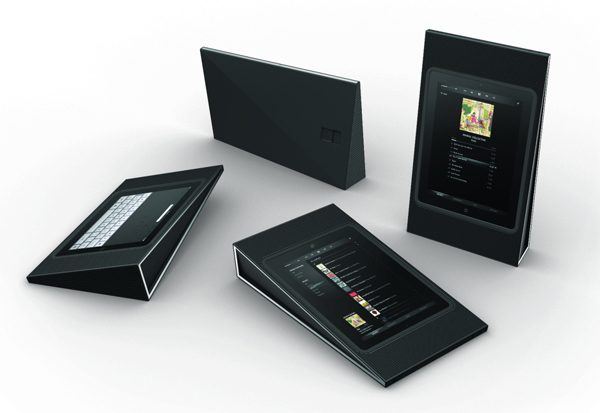 Check out more Band & Olufsen Play here!